This is quick inflammable material by the Drones, a british punk formed in October 1976 in Manchester and disbanded around 1982. The band started out in 1974 as a Glam Rock band called Rockslide, releasing a single in October 1975. The Drones then relocated to London and became one of the pioneering punk bands that performed in the first few months of the now-legendary Roxy Club. 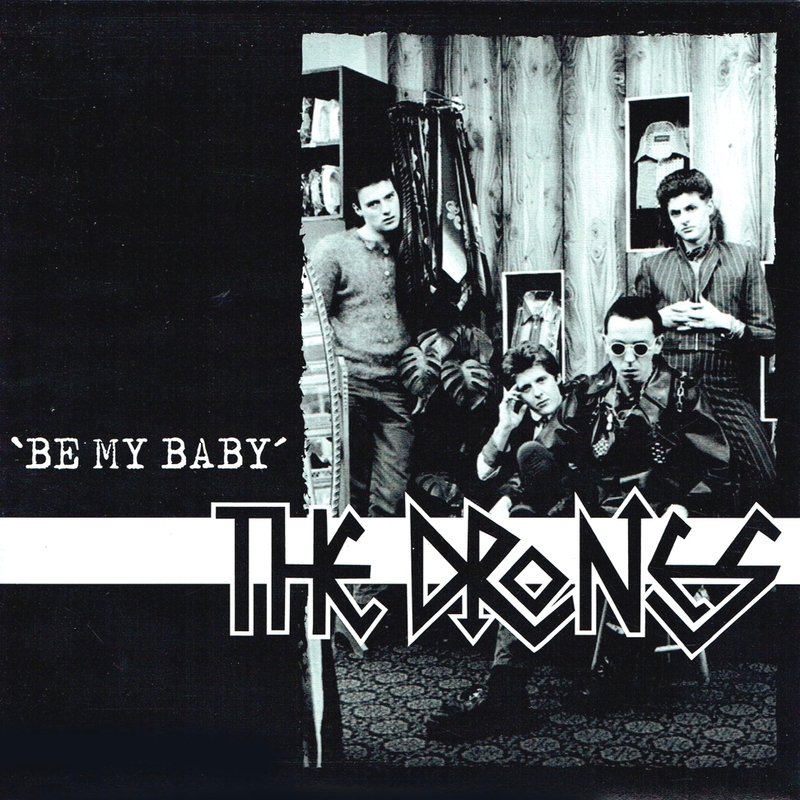 This is their third single ‘Be My Baby’ and was not released because Valer Records went bust and only 200 white label 12″ test pressings were made with no picture sleeve. In 1996 some counterfeits emerged, alegedly from the band, as well as a 7″ version and in 2017 the German label Mad Butcher released this officially again in a imited edition of 500 copies,100 in coloured vinyl. Be My Baby is a fantastic cover from the Ronettes (1963) and the flip kicks as well. Unfortunately, singer/guitarist M.J. Drone died on 10.January 2013 but two years later the band re-formed with original members Steve (bass) and Gary (guitars) plus new amplification by Martin (drums) & Glenn (guitar). They’re playing festivals, gigs and recording a live album as well as new material. Great Band!